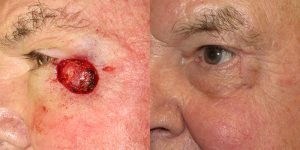 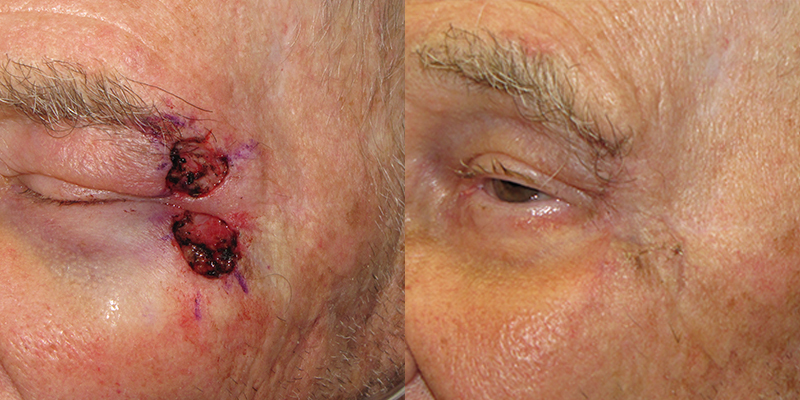 Patient diagnosed with 0.8 mm invasive melanoma with involved deep margins. 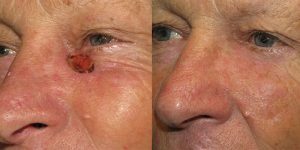 Mohs surgery performed by Dr. Matthew Goodman at SCARS Center. 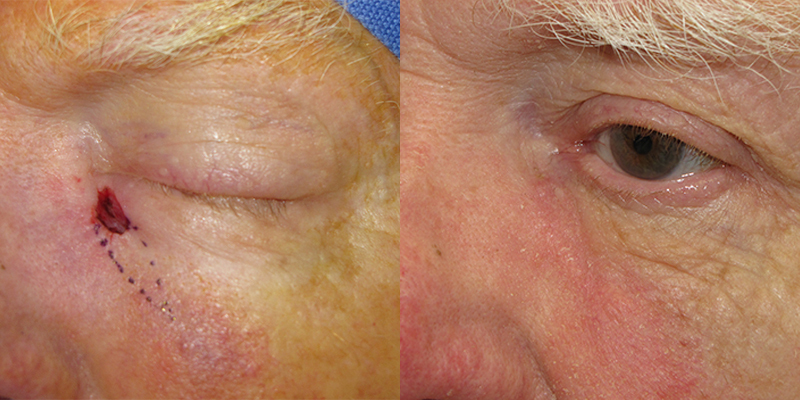 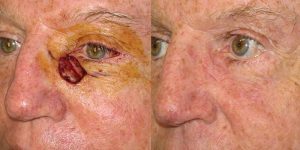 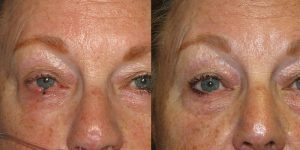 Eyelid reconstruction performed by Dr. Simon Madorsky at SCARS Center. 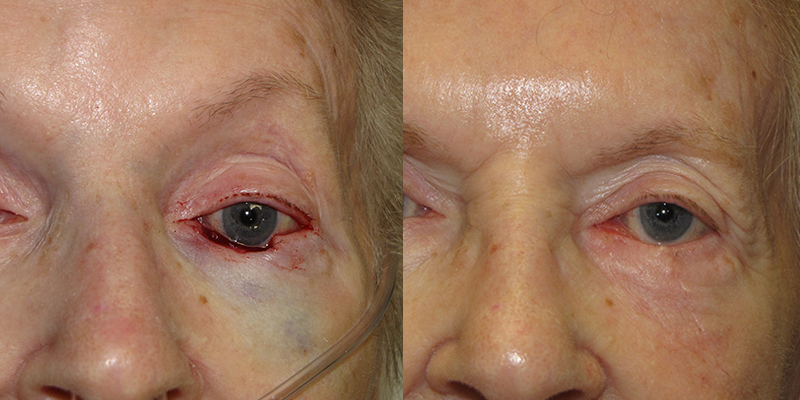 Patient diagnosed with BCCa on lower right eyelid. 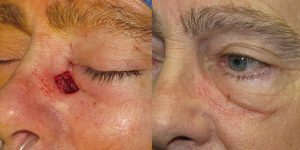 Eyelid reconstruction with upper eyelid tarsal conjuntival flap and right postauricular full-thickness skin graft completed by Dr. Simon Madorsky at SCARS Center. Patient diagnosed with Squamous cell carcinoma, well differentiated, keratoacanthomatous type on lower left eyelid. Eyelid reconstruction by Dr. Simon Madorsky at SCARS Center. BCCa of left medial lower lid. Eyelid Reconstruction by Dr. Simon Madorsky at SCARS Center.